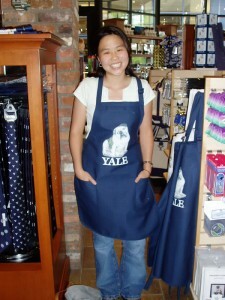 Online courses for free – Yale are provided to the public thru the university’s Open Yale Courses website. The free courses are actual lectures conducted by some of the university’s high-caliber professors and lecturers, recorded and then presented in two formats: audio and video. The university aims at providing free, quality courses covering different areas of study to individuals from all across the globe for supplemental education or just to have a taste of the university’s type of education. Free courses offered via Yale’s Open Yale Courses cover areas of study such as: Astronomy, Biomedical Engineering, Chemistry, Classics, Ecology and Evolutionary Biology, Economics, English, Environmental Studies, History and History of Art. Other courses also cover the following topics: Italian Language and Literature; Molecular, Cellular and Developmental Biology; Music; Philosophy; Physics; Political Science; Psychology; Religious Studies; Sociology and Spanish and Portuguese. When you check out the courses directly from the Open Yale website, you will also be given information as to when the lecture was delivered and recorded. You will find that most of the courses were recorded some years ago already; generally between the years 2006 and 2010. Although some of the contents of the lectures may be outdated already owing to the fact that they were conducted 6 or so years ago; you will still find the lectures interesting, informative and engaging. Some of the courses have lectures on specific topics; others just provide one course per category. For instance, Astronomy only has one course lecture: Frontiers and Controversies in Astrophysics, recorded in 2007; while others have two or three different lectures per course. Under the Economics category, courses offered are: Game Theory recorded in 2007, Financial Theory recorded in the year 2009 and Financial Markets recorded in the year 2008. For English courses, specific lectures are on: Milton, lectured in the year 2007; The American Novel Since 1945, recorded in 2008; Intro to Theory of Literature, recorded in 2009; and Modern Poetry, lectured and recorded in the year 2007. Under History, there’s The American Revolution which was recorded in 2010; and also The Civil War and Reconstruction Era 1845-877 recorded in 2008; European Civilization 1648-1945 recorded in 2008; Epidemics in Western Society Since 1600 which was recorded in the year 2010; and France Since 1871, recorded in the year 2007. For the Italian Language and Literature course, the available free online course as of this writing is Dante in Translation recorded in 2008. When you click on each course, you will be given a brief introduction to the lecture and also a brief background on the professor who delivered the lecture.